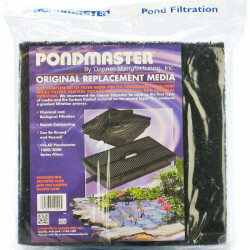 Pondmaster fine polyester filter pads. Fine Polyester Media 3 pack aids in filtering debris from your pond. 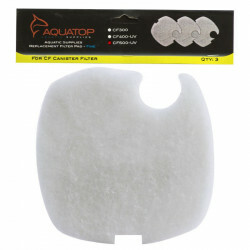 This media provides biological filtration and finer filtering than other larger-pored pads. 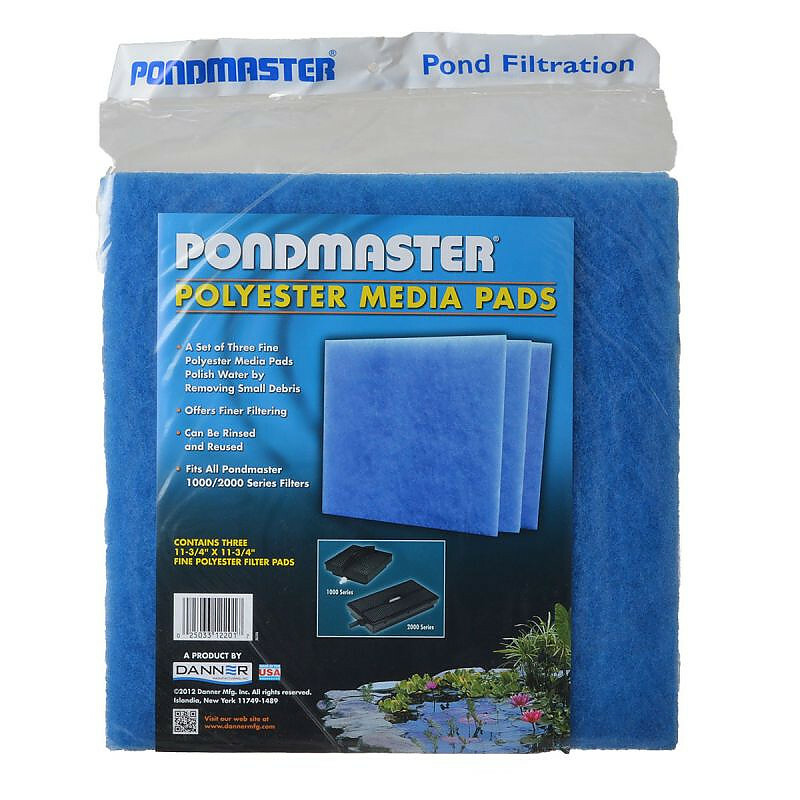 Pad Dimensions: 11.75" x 11.75"
Polish your water even further with Pondmaster's fine polyester media for your 1000 or 2000 series filter. Can be washed and reused. 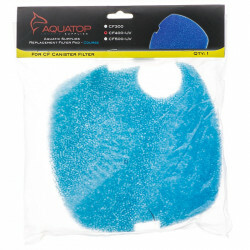 This material should be used as a second layer of media for the Pondmaster filter. 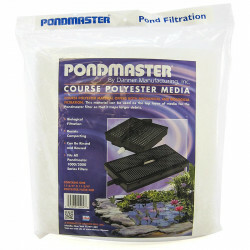 Pondmaster recommends a layer of Coarse Poly media as the first layer of filter material when using this product. Pet Mountain is proud to offer discount bulk pet products. Super- fish will be very happy!! These are the best filter pads ever. Pet Mountain has the absolute best price on these pond filters. Love the fact they are delivered right to my door.